The Cold War-like conflict between Iran and Saudi Arabia is simmering quite nicely—and, like most Middle East problems, threatening to boil over. The roots, the causes, the issues and the problems are all part of that complex Middle East tapestry which closely resembles Churchill’s riddle wrapped in an enigma and perpetually shrouded in the shifting sands of Arabia. But I will attempt to provide a guide on today’s state of play. The Sunnis hate the Shias. The Shias hate the Sunnis. The problem is a 1,382-year-old dispute over the religious line of succession. Iran is the dominant Shia power. Saudi Arabia is the dominant Sunni power. Almost all the other countries line up behind either Iran or Saudi Arabia, although some try to take a middle route. However, this is becoming increasingly difficult as tensions rise. The latest problems started with the overthrow of the Shah of Iran in 1979 and his replacement by a Shi-ite theocracy. Another exacerbating factor was the demise of Iraq’s secular—but still Sunni– leader Saddam Hussein who has been replaced by a pro-Iranian Shia leadership in Iraq. So Iraq shifted from support of Saudi Arabia to closer ties with Iran. The balance of power shifted accordingly. Syria is an extension of the Iran-Saudi conflict. Iran supports President Assad. Saudi Arabia supports the rebels. Iran is also the main backer of Hezbollah which is on America’s terrorist hate list. Iran and Hezbollah have become Israel’s biggest headache. The Arab-Israeli conflict is at the bottom of most of the Middle East crises, but at the moment it could almost be described as an Israeli-Iranian conflict as Tehran is currently taking the hardest line against the Jewish Homeland. Hezbollah is part of a new complex coalition government in Lebanon. Prime Minister Saad Hariri was coerced by the Saudis to boot Hezbollah out of government. This causes problems in Lebanon. Lebanon is a highly unstable melting pot of competing religions. Israel is on the Saudi side because of the old axiom ‘the enemy of my enemy is my friend’. However. Neither Israel nor Saudi Arabia can publicly cooperate because Israel’s pariah status would damage Saudi Arabia’s reputation with other Arab states. But don’t forget that Israel is the only nuclear weapons state in the region—at the moment. Poverty mixed with tribal conflicts makes Yemen another long-standing political hotbed. Those problems erupted into a bloody civil war two years ago. 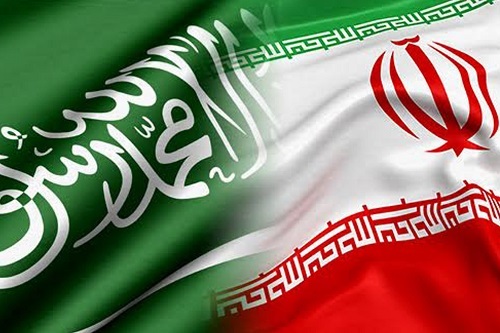 Iran and Saudi Arabia back rival factions. At the moment Saudi Arabia is not being helped by its royal leader—32-year-old Crown Prince Mohammed Bin Salman. He recently staged a counter coup before a coup could be launched against him. Entrenched religious leaders and corrupt Royal family members oppose the Crown Prince who is attempting to inch Saudi Arabia into the modern world.. The United Arab Emirates are firmly in the Saudi camp. Bahrain is a bit of a problem because it has a Sunni ruler and predominantly Shi-ite population. Qatar is a Sunni rebel. It finances and hosts Al Jazeera which is the only thing approaching a free media operation in the Arab world. Al Jazeera is one of the main reasons for the Saudi-led blockade of Qatar along its close relationship with Islamic fundamentalists and closer-than-desired ties with Iran. Egypt, Jordan and Kuwait are peripheral Saudi supporters, but they are supporting the Saudis in Yemen. Finally there are the big outside powers. Donald Trump hates Iran almost as much as the Saudis. His second trip abroad was to Riyadh where he announced a $110 billion arms deal. He has also withdrawn from the Iran-nuclear deal. China takes a stand-off position. Russia is forging good relations with both countries and Vladimir Putin has offered to mediate in their dispute. Turkey’s President Erdogan has also offered himself as an honest broker. The Europeans lean heavily towards the Saudis. France and Britain—along with the US—are providing intelligence and logistical support to the Saudi forces fighting in Yemen. The French and British also do very well out of arms sales to Riyadh—each about $4 billion in 2016. And that is the current line-up, which could change tomorrow or the day after. Tom Arms is the editor of LookAheadnews.com. Sign up now for the weekly diary of world news events. I am a journalist, entrepreneur and historian with extensive experience in print, web and broadcast journalism. I started as a diplomatic correspondent, wrote several books (The Falklands Crisis, World Elections On File and the Encyclopedia of the Cold War), and then in 1987 started my own business (Future Events News Service, www.fensinformation.com) which over 25 years established itself as the world and UK media’s diary. Our strapline was: “We set the world’s news agenda.” I sold FENS in December 2012 but retained the exclusive broadcast rights to all of FENS data. 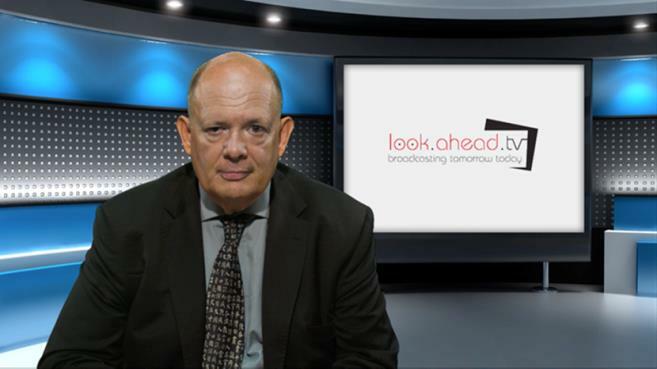 To exploit these rights I set up LookAhead TV which produces unique programmes which “Broadcasts Tomorrow Today” so that viewers can “Plan to Participate.” LookAhead has appeared regularly on Vox Africa, Radio Tatras International, The Conversation and Voice of Africa Radio. In addition to being a syndicated broadcaster and columnist on global affairs, Tom is also available for speaking engagements and can be contacted on Twitter, Linkedin and email: tom.arms@lookaheadnews.com. Previous post Can we safely say goodbye to the last Napoleon of Africa, Robert Mugabe?